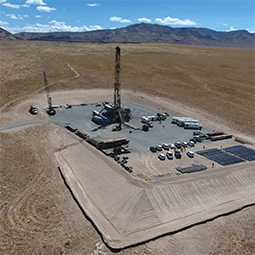 Utah FORGE is a dedicated underground field laboratory sponsored by DOE for developing, testing, and accelerating breakthroughs in EGS technologies to advance the uptake of geothermal resources around the world. It is located near the town of Milford in Beaver County, Utah, on the western flank of the Mineral Mountains. Investigations will commence in 2020 as the facility is being constructed and continue through 2024. 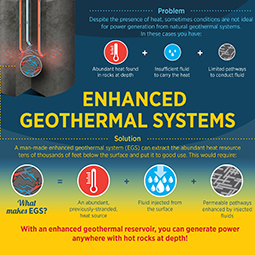 Competitive funding rounds will be open for public application to attract outstanding programs of innovative research and development in geothermal engineering and science. Near term goals are aimed at perfecting drilling, stimulation, injection-production, and subsurface imaging technologies required to establish and sustain continuous fluid flow and energy transfer from an EGS reservoir.